AFK, short for ‘Away from Keyboard’ is part of a vocabulary of abbreviated messages commonly used during online chats and cellular phone exchanges. 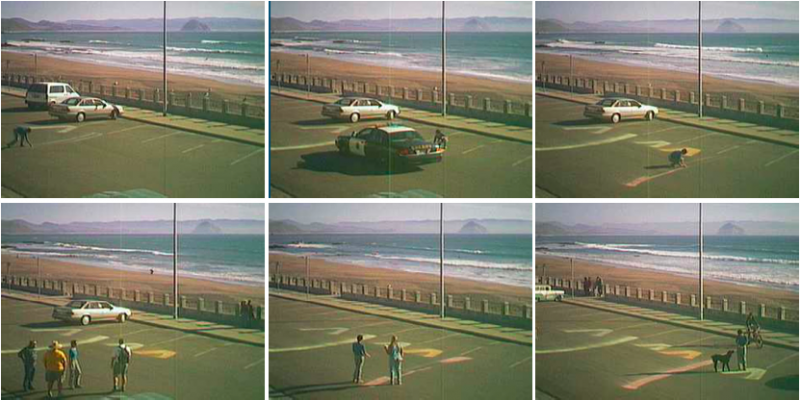 In 2002, Michelle Teran and Isabelle Jenniches, then living in different cities, started ‘texting’ each other by constructing (SMS) messages out of found materials in front of public webcams on beaches around Southern California and throughout the city of Toronto. Conceived as instructions, each enacted performance described experiences of mobility, presence, play and the different modes of communication carried out on a daily basis. Each performance could be viewed online or at the physical location. Comments closed — Trackback URI RSS 2.0 feed for these comments This entry (permalink) was posted on Friday, February 27, 2009, at 1:53 am by admin. Filed in Performance, Telepresence/Web.